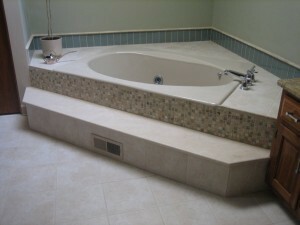 Click here to view our recent work and see ideas for projects! 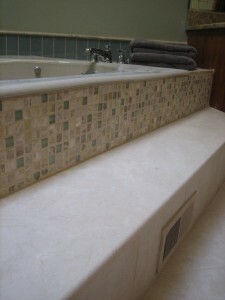 This project was the continuation of the luxury bath project detailed in the previous post. After the water closet, shower area was completed the home owner decided that they wanted the entire master bath to flow nicely with the same high end stone and glass materials through out. 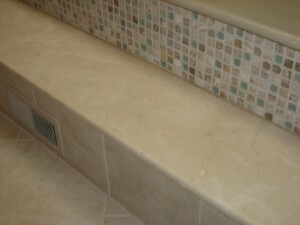 In this project we replaced all of the gold fixtures with shiny chrome, gutted the entire ledge, step and floor surrounding the tub and rebuilt the step and surround installing the floor, step risers and top of the tub with stone tiles while installing complimentary mosaic stone tiles on the face of the step, installing a solid one piece step made of crema marfil honed marble and finished off the back splash area with the complimentary turquoise glass subway tiles installed vertically with a honed marble bull nose. Beautiful! 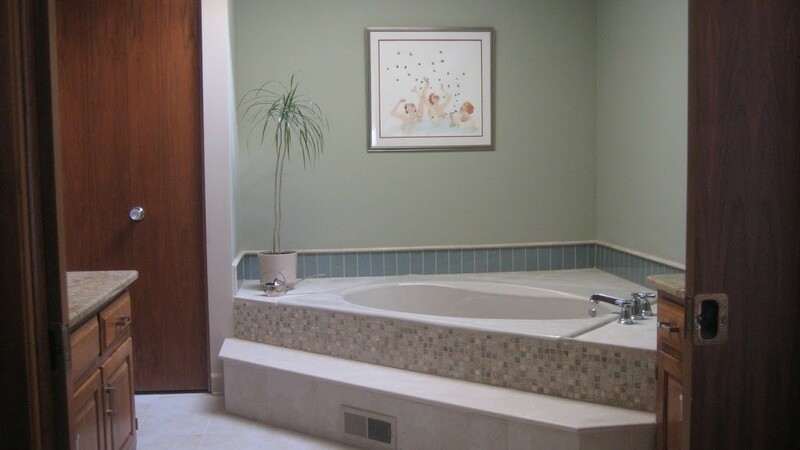 Previous PostFRANCIS BRYAN REMODELING installs custom designed tile and glass block shower in Chicago’s South SuburbsNext PostFRANCIS BRYAN REMODELING can work with you to update your outdated kitchen! Beautiful, Stylish Kitchen Update w/o Breaking the Bank! 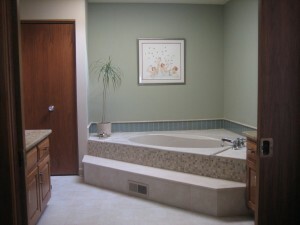 Beautiful Beverly Basement Bathroom by FRANCIS BRYAN REMODELING! Custom Built and Installed Glass Block Windows from FRANCIS BRYAN REMODELING Chicago, IL.